Insight Academy » How to get an Industry-Related. Part-time job or Internship? How to get an Industry-Related. Part-time job or Internship? 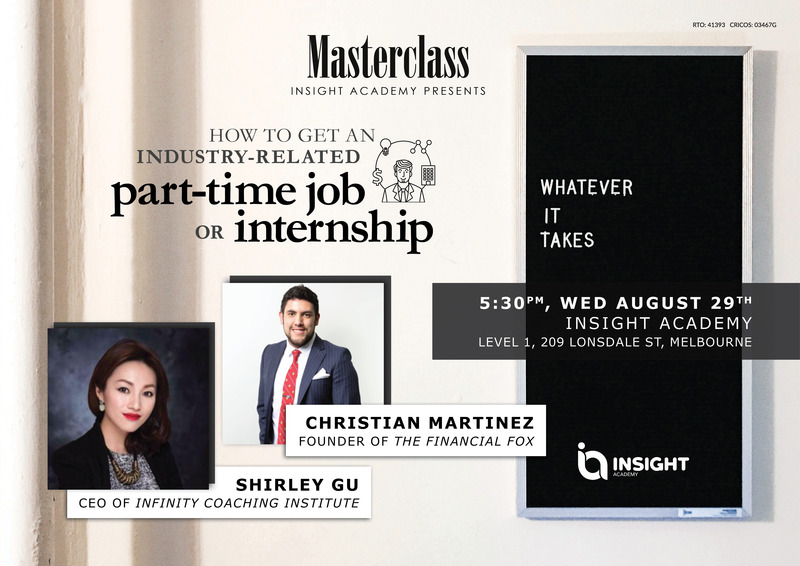 Come along to the workshop to know how to get an industry-related part-time job or internship in four simple steps. – Get that local experience you need in your CV!